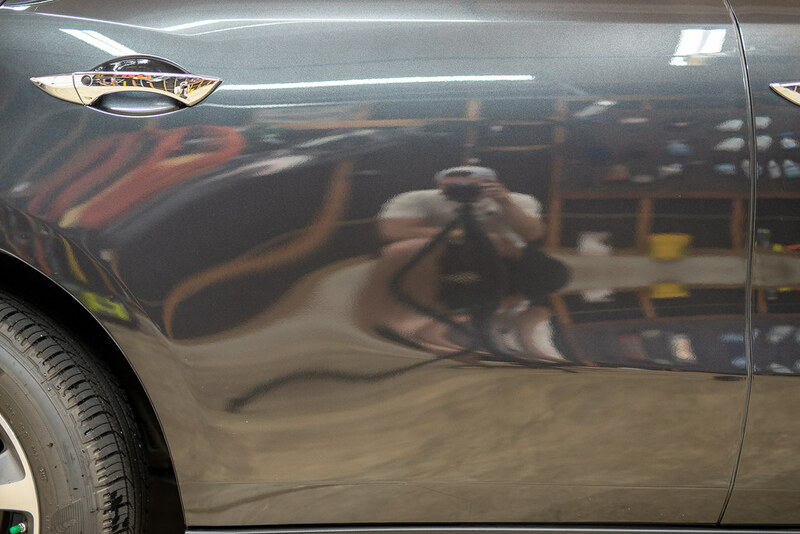 If you are a detailing enthusiast then there is no doubt you are familiar with paint coatings by now. Coatings have transformed the way we think about protection for our vehicles. Along with the outbreak of protective coatings have come a wide variety of enhanced sealants and spray detailers that can be used either as a booster to the base coating or as a stand-alone layer of protection. 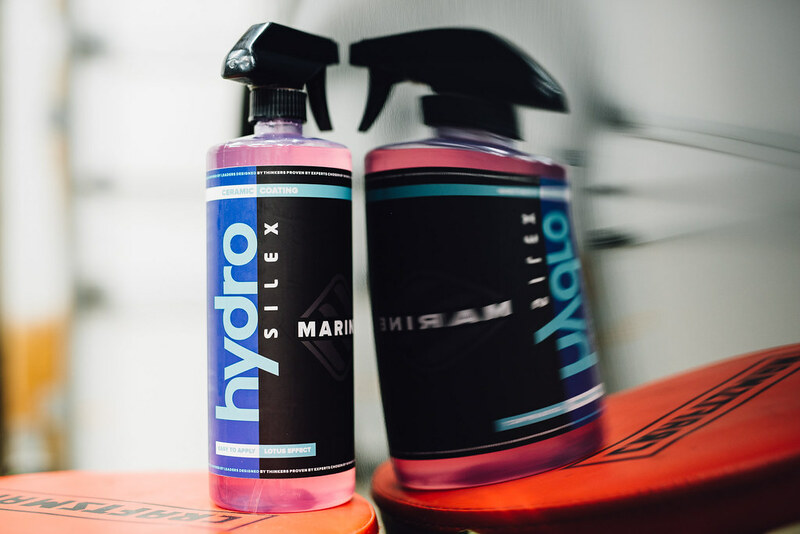 Hydrosilex Marine is sort of an in-between product that features the ease of use of a spray-on sealant, but with durability claims exceeding that of most other similar products. As the name implies, this product was created to protect your watercraft. It was specifically designed for use on gel coats that are found on most marine vehicles like your boats and jet skis. For watercraft applications, Marine will help to create a slick surface that can protect your boat from dirt, grime, barnacles, salt, and harmful UV rays. This product shares a lot of similarities with the increasingly popular Hydrosilex Recharge, however, it has been formulated with a higher concentration of silica to endure the harsher aquatic environment. With this stronger formula, Hydrosilex claims Marine can last an entire year, which is twice as long as the durability claims for Recharge. If you are like me, and you do not own a boat, you might be wondering if you should continue reading. That is a fair question, and here is the answer, yes! 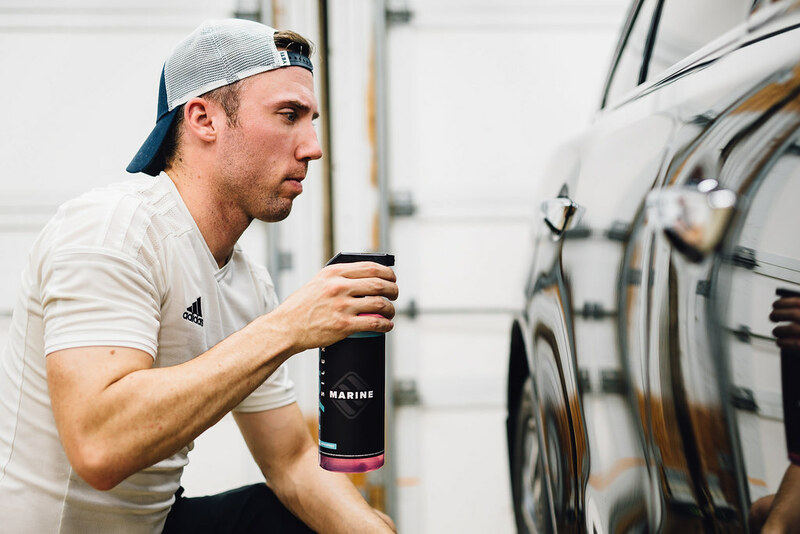 The great news is that Hydrosilex Marine also works great on automotive finishes, so you can take advantage of this stronger formula on your car, truck, SUV or motorcycle. 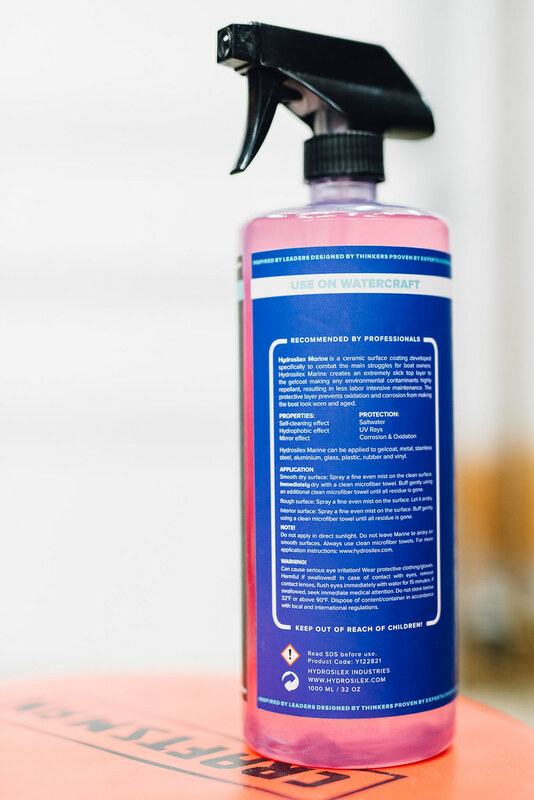 In fact, despite the label reading “use on watercraft”, Hydrosilex really thinks you should try Marine out on planes, cars, trucks, showers, kitchens, motorcycles, bicycles, lawnmowers, glass, plastic, metals, fiberglass, vinyl, paint protection film, wheels, wood, Plastic-Dip, stone, countertops, single stage paints, gel coats, clear coat finishes and so much more. The application process could not be easier. Simply spray a light mist onto the panel, then wipe away. Really, there is nothing to it. Before applying Marine, the entire vehicle was washed and dried. I also prepared the surface with Hydrosilex Rewind to remove any residue that may have been left from washing or previous uses of spray detailers or sealants. I then proceeded to cover my test panel with a few sprays of Marine to distribute a light mist across the surface. I then immediately spread the product out using a plush microfiber towel. I followed up with a second plush microfiber towel to remove any remaining residue. I am pleased to say I experienced no fuss, no streaking, and no smearing. 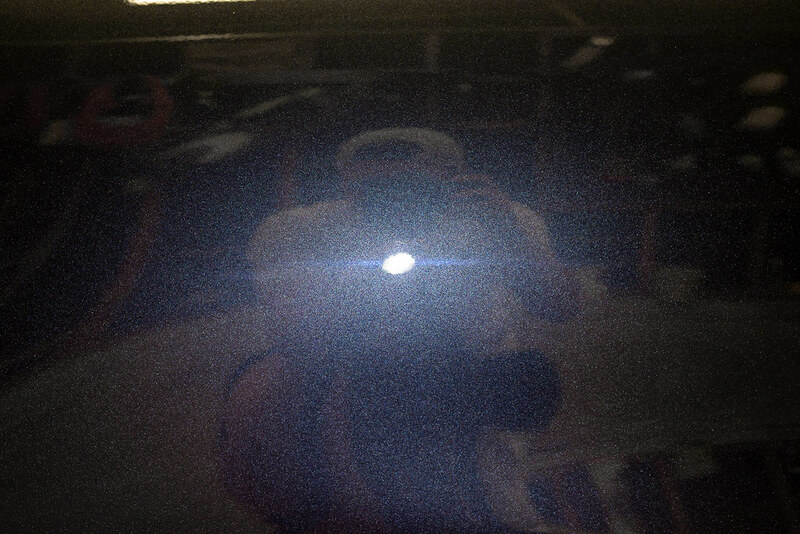 Something I have noticed on nearly all spray on, wipe off products is that if you inspect the surface with an LED light, there tends to be some visible residue that is otherwise undetected with general lighting. This used to really annoy me, however, it seems it is nearly unavoidable. For what it is worth, this was very faint and was only visible under harsh direct lighting immediately after application. I only mention this to assure you that it is a normal thing to see if you chose to use an inspection light during application. Hydrosilex Marine is honestly not a product I would have ever decided to purchase on my own, but I am glad Detailed Image sent me a bottle for review. I have been a heavy user of silica spray sealants for years. I find them to be an awesome balance of protection, ease of use, and perhaps most importantly they do not require much time to apply to an entire vehicle. While I am still very early on in my real-world testing, my initial impressions of this product are great. It was extremely simple to use, and so far the results have been on par with my favorite silica spray sealants from other brands. My cars accumulate miles quicker than average and they are exposed to all types of weather, and while I do make an effort to keep up with maintenance, it sometimes slides to the bottom of my lengthy to-do list. 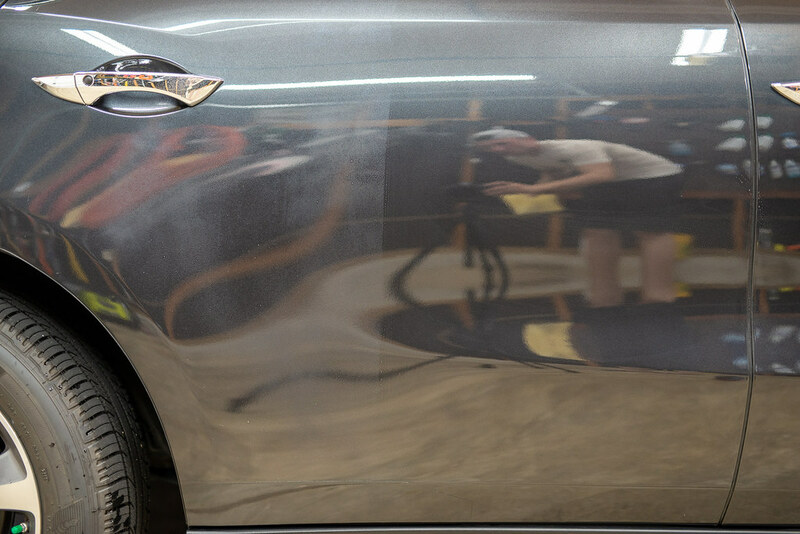 With that in mind, it is important to understand that the performance of any wax, sealant, or coating is a product of how well the surface is maintained after application and also what time of environment the vehicle is exposed to. If this product can live up to the one-year durability claims on my daily driven vehicle, I would be shocked. However, if it can provide even half of the claimed durability, it will be performing considerably better than other similar products on the market. One thing not mentioned here….. In freshwater or saltwater…boats get water spots. I’d be interested to know how this product performs with those, or if those have to be removed during the washing process. I’ve found that the washing process doesn’t get those off, and I need to use a product like Boat Bling Hot Sauce to remove the water spots and seal the paint on my fiberglass gel coat. Interested in any feedback…. Hi Scott – cars also suffer from water spotting. This has been a concern of mine for years, and while I have not yet had enough time to form a complete opinion on Marine, it has been my experience with other silica based products that they do not prevent water spotting. In fact, I have not found a single product that I would say completely prevents water spotting. For this reason, it is important to try to remove any water droplets from the surface before they are left to dry when possible. I understand this may not be reasonable for aquatic vehicles. When you talk about water spotting, are you referring to water spotting from rinsing with a hose, or from being out in the rain? Up until now I have been using either sealants or waxes, so when I read the forums about water spotting issues with coatings, that makes me reluctant to use a coating. I have never had water spotting from rain, but yes I have had water spotting from a less than complete rinse after a car wash. So my question is, does using a coating make your paint more prone to water spotting after being out in the rain? Water spotting is a discussion that never ends. Coatings and silica sprays increase beading which gives water more time to spot, but the coatings and spray silica make it easier (sometimes) to remove said waterspots. What are you going to do?